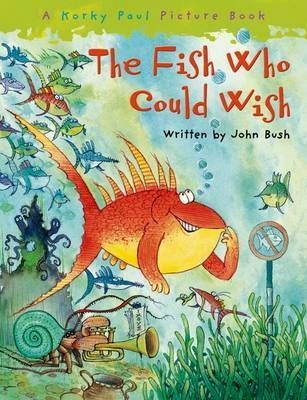 A fish's wishes come true until the day he makes a foolish wish. Deep in the ocean lives a fish whose wishes come true! He wishes for all sorts of crazy things - a castle, a car, and even fine clothes to wear. But he is a rather foolish fish and one day he wishes to be just like all the other fish ...perhaps this will be the one wish he wishes he never wished! The rhythmical text is great to read aloud and Korky Paul's illustrations take to you to a crazy underwater world. With its neat punch line, this is a book that children will just love to hear (and join in with) over and over again.